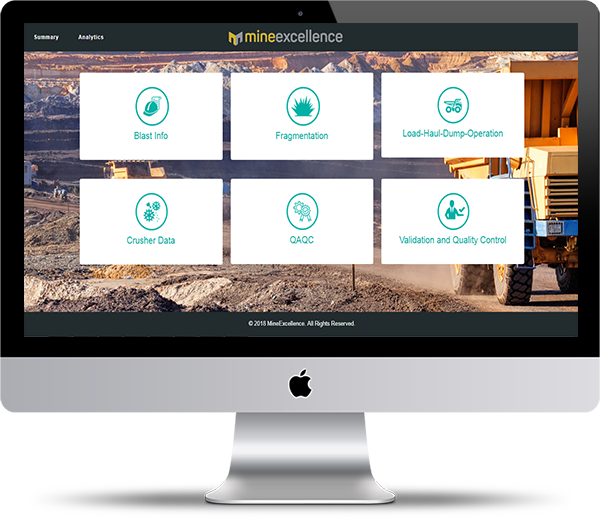 MineExcellence advanced operational analytics combines data from different processes of mining value chain such as drilling, crushing, hauling, explosive systems, GPS devices, face profiler etc. Historical Analysis : Ability to overview historical data , end-to-end solutions offer unique capabilities for the development of analytics such as cost analysis, production to mill performance, fragmentation, designed vs actual blast, redrill analysis etc. Accessible Anywhere, Anytime : Mobility and Web based platform makes them accessible anywhere anytime. Optimization : Ability to do blast optimization and use collected data parameters for future blast design. Perform QA / QC : Ability to perform QA/QC and audit through collected data. 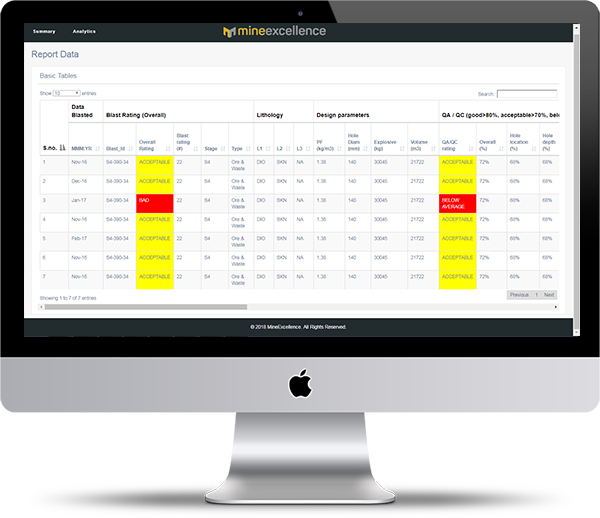 Trend Analysis (Post and Predictive Analytics) : Ability to perform advanced searching and sorting to find operational activities with desired parameters. Quantification of operational activities : Ability to define tolerance limits for various parameters to categorize good, average and bad blasts. Mine to Mill Optimization : Management will have real time data visualization of blasts performed in fields and view mine to mill performance without site travels. Financial Impacts : Allows management to fully understand operations performance and direct impact it has on financial results.